Given the substantial hype of cannabidiol during these days, it is no surprise that CBD-focused strains and seeds are becoming more and more popular at the moment. Particularly in Europe, where THC-containing strains are widely prohibited, cannabis flowers grown with CBD seeds became the cannabis of choice for many hemp shops. Moreover, since CBD is often regarded as having a huge therapeutic potential, the world’s biggest cannabis breeders and seed shops are starting to offer high-CBD strains on their menus. What exactly is considered to be high in CBD? How much CBD is normal for cannabis, and how are CBD seeds different than normal marijuana seeds? Let’s find out. What is a high-CBD strain? Although there is no official definition present at the moment, marijuana strains are often considered to be high in CBD when they contain at least 5 percent of CBD. Yet, one clearly needs to see that this percentage is not anywhere close to what a truly high CBD strain looks like. 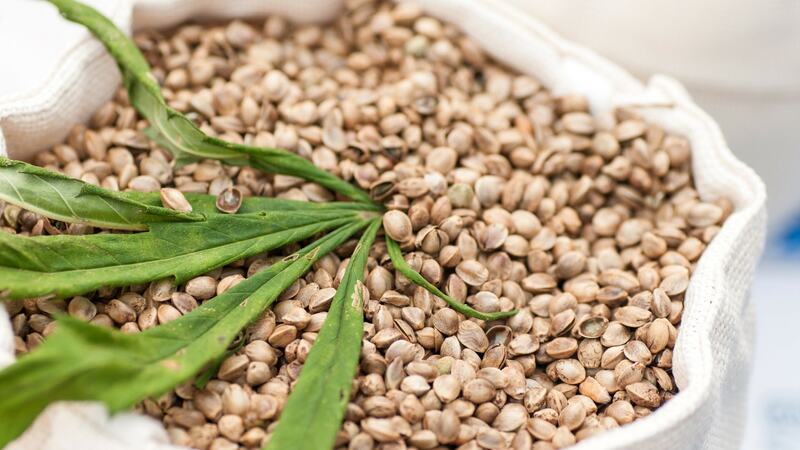 When scanning the more than 300 different CBD seeds that are showcased on a quite sophisticated seed list by SeedMan, the average CBD content appears to be between 8 and 12 percent. However, some cannabis breeders even went another huge step further. There are several strains available which contain between 18 and 22 percent of cannabidiol, while some Swiss CBD growers even offer strains with up to a whopping 26 percent. Despite the fact that high-CBD strains are mostly bought for their CBD content, these strains often still have considerable amounts of THC. While there are several seeds for strains that have less than 1 percent of THC, there is an amount at least twice as big that has between 5 and 15 percent. Of course, there are also some high-CBD strains with up to 25 percent of THC. To put this into perspective, conventional cannabis strains produce between 10 to 20 percent THC, while their CBD content often stays around or even below 1 percent. Though it needs to be said that breeders in the US are currently focusing a lot on creating marijuana strains with extraordinarily high THC amounts. What are high-CBD strains good for? We have already discussed the positive effects of CBD numerous times, which is why we will not go into detail this time. If you have not heard about the potential of cannabidiol before, you should be aware that CBD has been successfully used to treat some severe diseases, like chronic pain, depression and migraine, as well as many other illnesses and conditions. Nevertheless, there is also another significant reason why you should grow CBD cannabis seeds, or at least consider buying high-CBD marijuana. As very recent studies suggest, marijuana with a high THC content has been connected to increased risk of developing psychotic disorders when consumed. CBD, being antipsychotic, is seen as a natural counterpart to THC and is said to reverse the negative psychotic effects of THC. Furthermore, cannabidiol is also expected to significantly decrease paranoia and anxiety that might emerge when consuming marijuana. Experts often recommend looking at the THC:CBD ratio, which we will further explore in the next section. Concluding, high-CBD strains are supposedly a safer and healthier way of marijuana consumption. What type of CBD seeds should I buy? In general, one needs to distinguish between two types of consumers that might be interested in buying CBD cannabis or growing with CBD seeds. On one side, we have the medical patients who are using cannabis for the sole purpose of treating their illness. In many cases, medical patients prefer to stay sober during the day, as being high might interfere with their daily life. On the other side, there are also some sophisticated cannabis consumers that simply value the numerous benefits of CBD cannabis flowers. They are already using marijuana for recreational purposes and usually enjoy the mind-altering effects of marijuana. That being said, let’s take a loot at the various THC:CBD ratios. 1:0 (<1% CBD) Very highly psychoactive effects, uplifted emotions, uncontrollable laughter is not uncommon. Prominent side effects for novice users. 2:1 (10-20% THC, 5-10% CBD) Laughter and euphoria with calmer thoughts. 1:1 (5-20% THC/CBD) Wide range of therapeutic benefits and tranquility. 1:2 (2.5-10% THC, 5-20% CBD) Mild sedation and body relaxation. 0:1 (<1% THC) Antipsychotic and relaxing effects, great for therapeutic use. In regard to CBD seeds, a medical patient would be mainly interested in a 1:1, 1:2 or 0:1 ratio. In contrast to a recreational user, the medical patient is probably looking for cannabis that does not include more than one percent of THC, which can be found in the 0:1 ratio. Additionally, people that are using cannabis for its therapeutic effects might also want to look at the CBD percentage of the whole flower, not just the ratio. Several studies, that discuss the medicinal potentials of CBD, indicate that patients need to consume at least 200mg of CBD per day in order to treat some of the more severe diseases (e.g. Schizophrenia). As so, cannabis seeds with more than 20 percent of CBD seem to be the perfect solution for these people. Since the sophisticated user is still a recreational user, he or she is probably more interested in ratios of 2:1, 1:1 and sometimes 1:2. They are still seeking the great body feeling and euphoria that is unleashed after smoking, vaping or eating THC containing substances. However, with a greater share of CBD in marijuana, consumption becomes a little bit safer and also more enjoyable. Disclaimer: The cannabis seeds below might be illegal in your country. That was our CBD seeds guide. Have you already grown your own CBD cannabis? Let us know in the comments. Max writes about the cannabis industry, cannabis stocks and the blockchain space.